I have two Competition Triggers; the GSSF and the Master GSSF. These are specifically designed to be used in GSSF Amateur/Civilian division. All parts furnished are Glock OEM parts that have been custom tuned for an extremely smooth, light and crisp action. 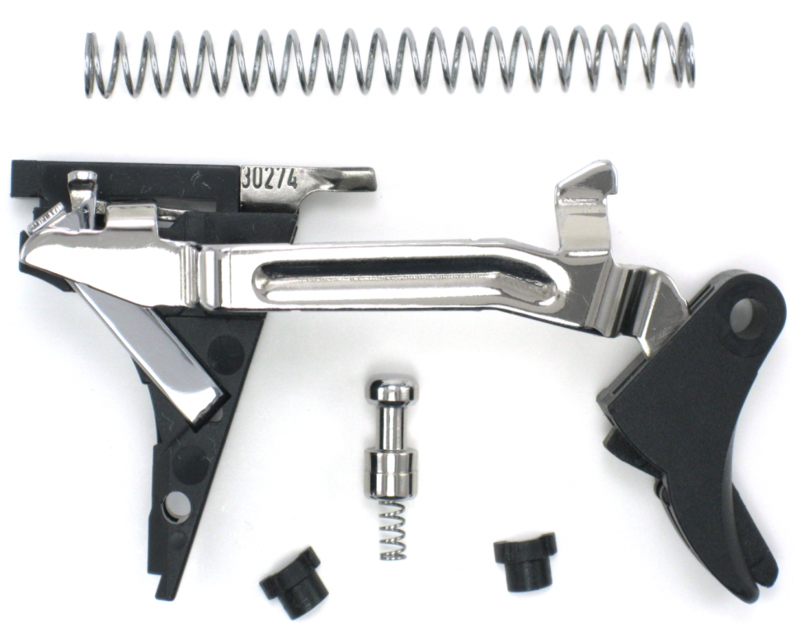 All parts are custom tuned, modified and polished for a super smooth trigger pull. The Master GSSF kit includes the same basic parts as the GSSF kit, but also includes a custom tuned firing pin and spacer sleeve with all components assembled and ready to install. The trigger group comes lubed, assembled and ready to install. Generations 1, 2, and 3 use the same kit. 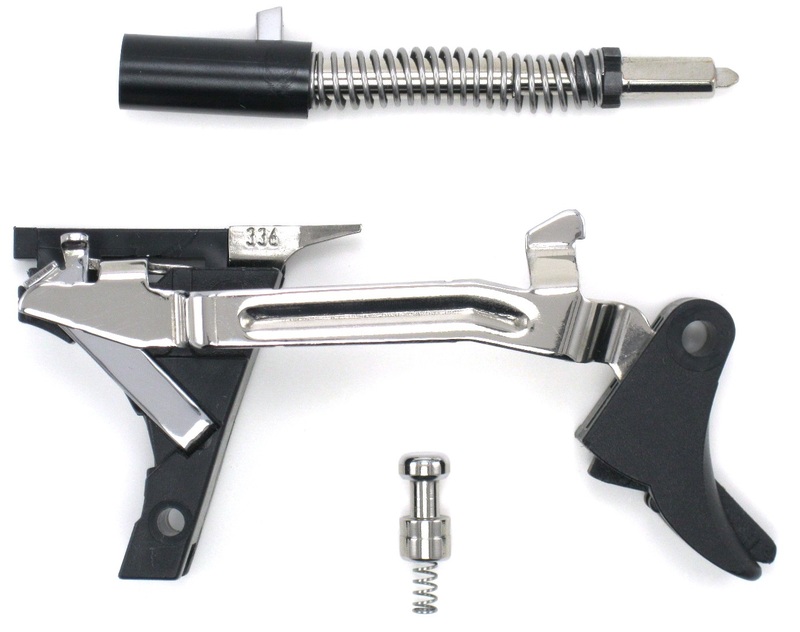 The Master Kit has an OEM custom tuned firing pin that can reduce the trigger weight by up to 4 ounces while adding smoothness and reliability to the trigger. The trigger group and firing pin come assembled and ready to install. The GSSF Triggers have a pull in the 3-4 lb. range using a RCBS premium spring scale. This varies due to inconsistencies between individual Glocks. These kits will vastly improve your trigger action. Kits are built within specific tolerances, which will allow them to be interchanged between Glocks of the same frame size.